Chanoyu (literally means “hot water for tea” but generally translated as “the Japanese tea ceremony) is more than making tea or drinking a bowl of tea. From its inception in the fifteenth century, chanoyu has been a codified practice that transforms a drinking activity into a ritual and sets it apart from everyday life. As chanoyu was labeled as traditional in the process of Japan’s intensive Westernization and modernization, the practice of tea simultaneously became characterized as a routine expressive of Japanese-ness. This talk will deconstruct seemingly inherent connections between chanoyu and “unique Japanese essence” by raising questions such as what political and cultural forces shaped a newly imagined identity of chanoyu in modern Japan? and how did famed tea utensils become representative national arts? Dr Seung Yeon Sang is a historian of Japanese art with particular focus on the Japanese practice of appreciating and collecting ceramics in chanoyu. Her primary research interests are transnational forms of ceramic production, the impact of Japan’s modern transformations on aesthetics and history-writing, and the meaning and uses of the museum. 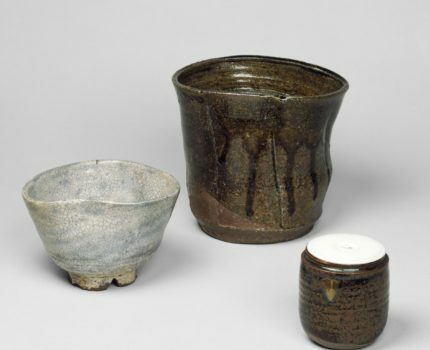 Her dissertation examines the trajectory of ceramic scholarship in modern Japan from its emergence in the 1910s to the first pinnacle of its development from 1924 to 1931. She has received fellowships from the Japan Foundation, the Korea Foundation, the Metropolitan Museum of Art (New York), and the Smithsonian Institution (Freer and Sackler Galleries of Art).